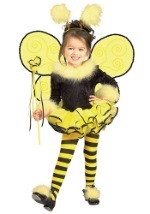 The buzz will be all about her in this Girls Honey Bee Costume! 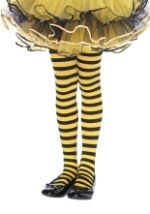 It's a sleeveless tutu-style dress with a bodice of black poly velour and a center-front inset of black and yellow horizontally striped poly interlock knit. There is a three-tiered ruffle of yellow poly knit mesh on each shoulder strap. 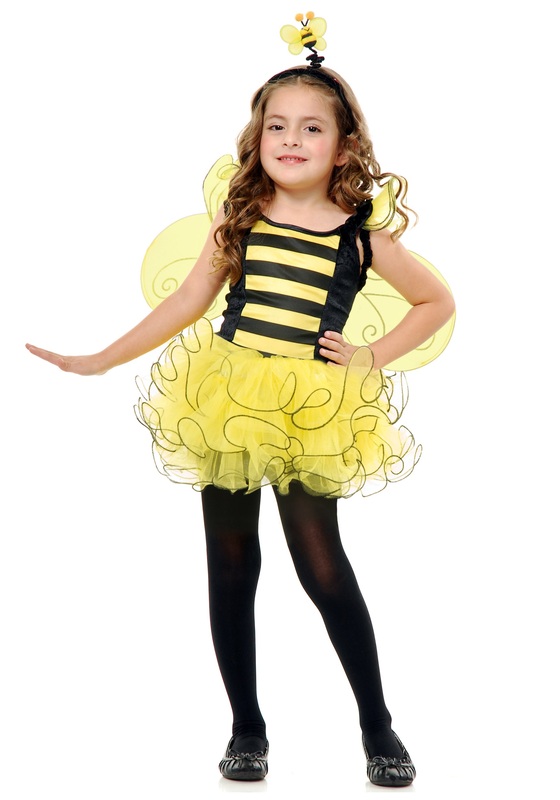 The tutu skirt has an inner layer of yellow poly satin with three ruffled tiers of yellow poly knit mesh edged with black overlock stitching. 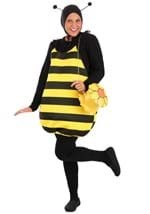 The wings are semi-sheer yellow nylon knit mesh stretched over wire frames, joined at the center by a black felt circle that has a flower on the outside made of the same mesh as the ruffles on the dress. It is worn by sliding an elastic strap up each arm. 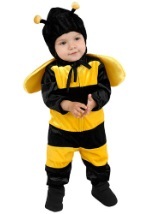 The headband is plastic covered with velvet, with a bumblebee on a spiraled chenille wire. 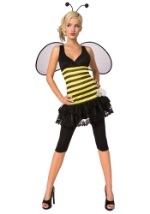 Add honeybee or black tights and shoes.